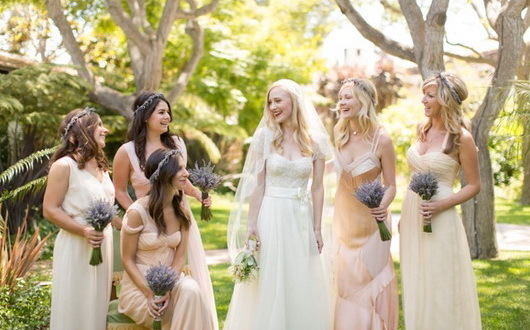 Such an elegant shade of pink, blush is a serious contender for bridesmaids the world over. Will look amazing with ivory and tonal shades of pink to compliment the look. 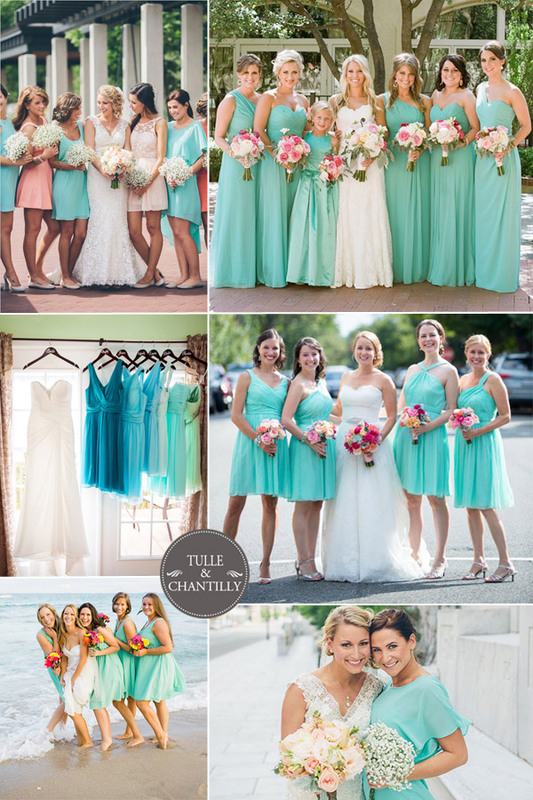 This cool aqua green and blue shade is a gorgeous color for summer venues and will match so many contrast options for bouquets and heels, so you don’t need to worry about getting things wrong. 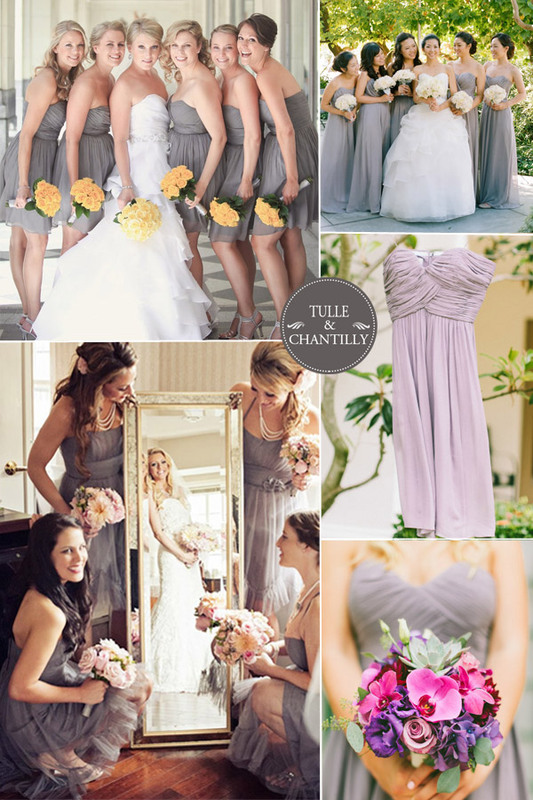 Gray is a hugely popular color for bridesmaids right now, in recent years it had been banished for good, but thankfully the color has reemerged and it looks better than ever. To make sure things don’t look too dull, team the dresses with a pop of canary yellow in the bouquets or choose a bright heel to make the loo more vibrant. 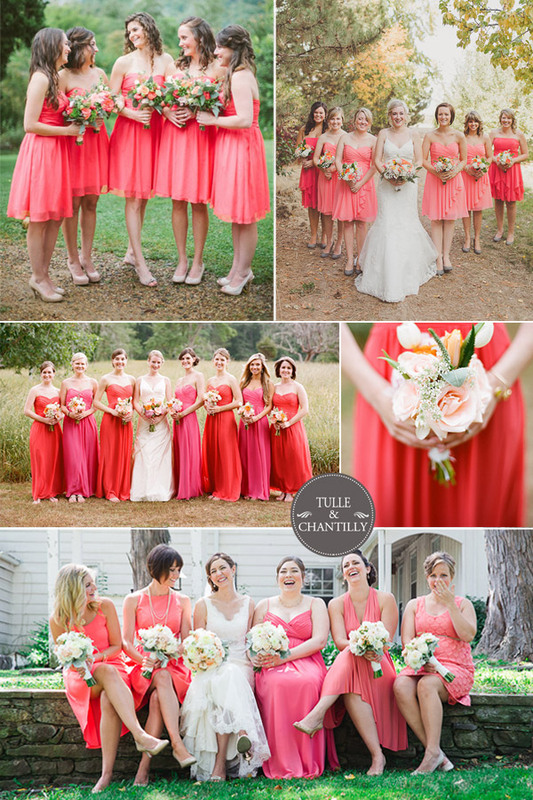 Traditionally a winner with bridesmaids, this color just continues to push itself to the forefront. It’s no wonder with its flattering yellowy tones; it’s a color to be worn by all. 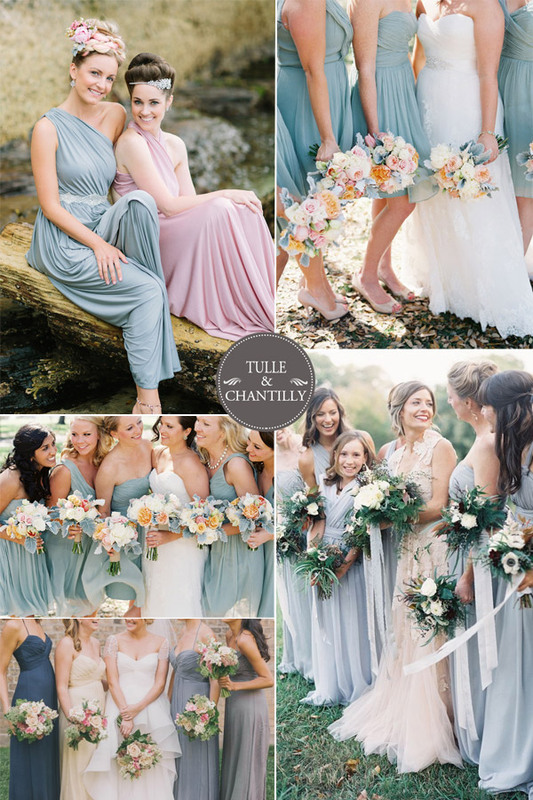 Depending on the style you want, why not try stark white bouquets, as it will really make the turquoise stand out. 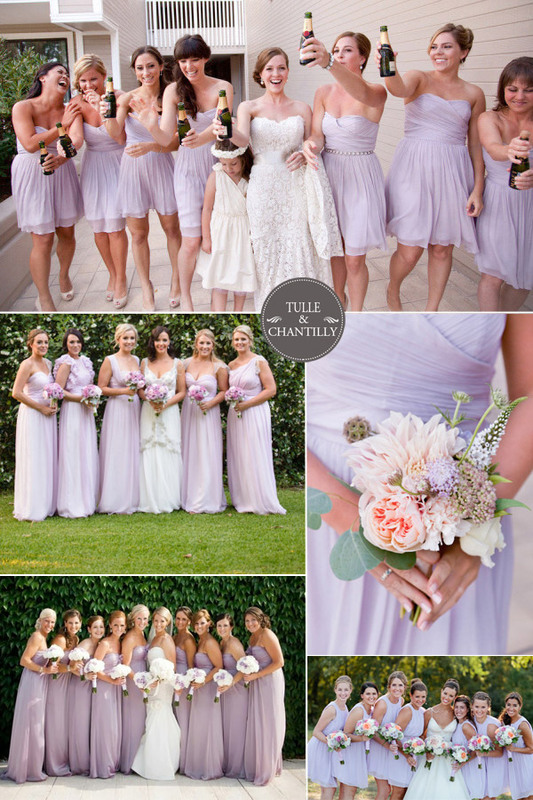 Still around after a huge year in 2014, this purple hued pink orchid shade looks beautiful next to white, making it a popular choice for bridesmaids. 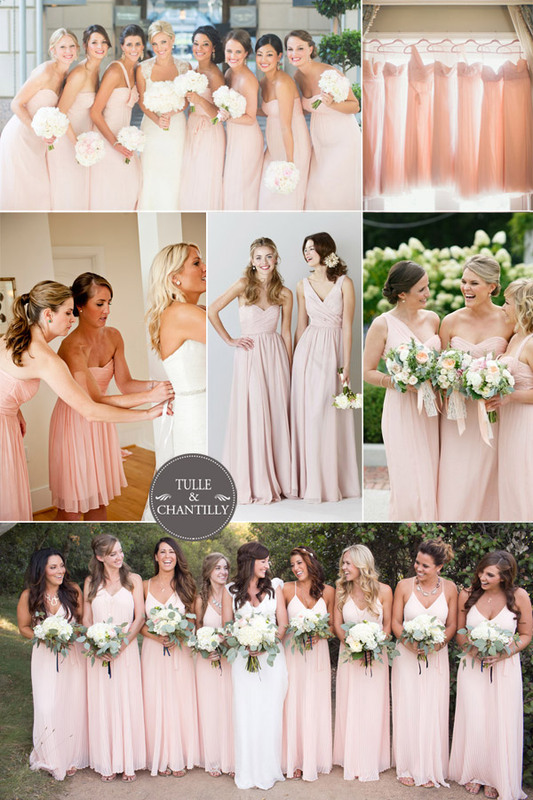 It’s also a flattering color, which works well with tonal pink shades. Mint has been a winning choice for maids over the last 3 – 4 years, but it’s been given a new lease of life thanks to that natural zesty lime green we get from the pistachio. To help bring more life into green, pistachio is the perfect choice and really livens and brightens any wedding. A light cool shade of pink, strawberry ice isn’t suited to every lady, so be careful when selecting this color option, if you have chosen to use this color in your theme, worry not as you can always use tonally lighter and darker options to compliment the overall look. Another pink in our list, but rose brings with it that beautiful dusty effect and it tends to look amazing on just about everyone. 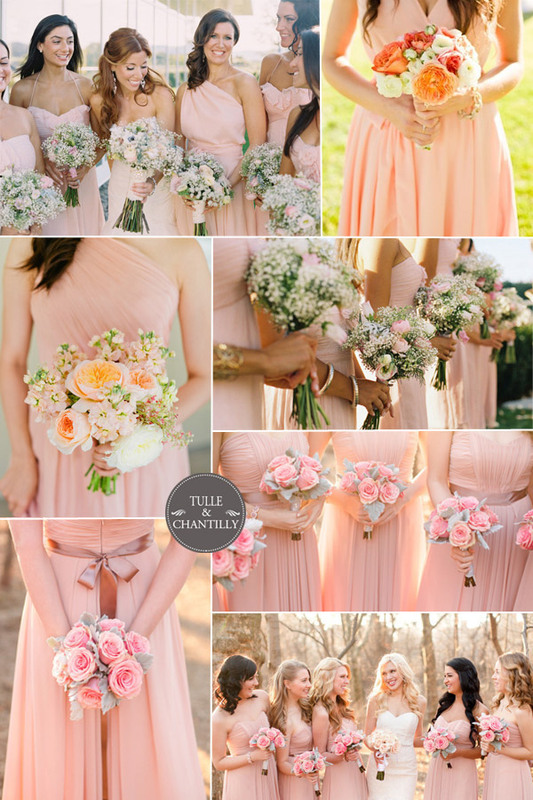 Sage green and lighter shades of pink really compliment this color. 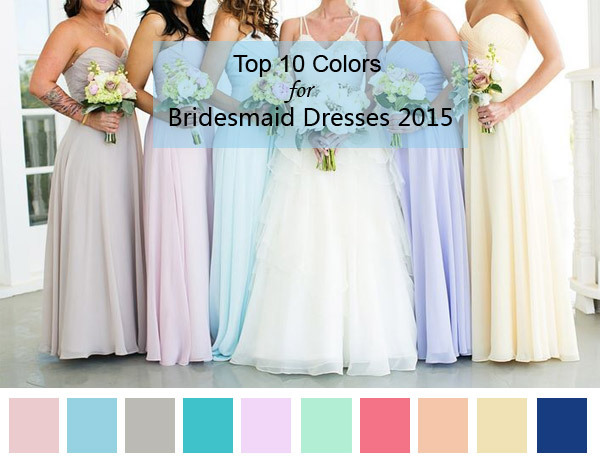 A light yellowy tone, perfect for spring and summer weddings, it’s not traditionally a popular color, but we think it will look fab with brighter shades of yellow and white. 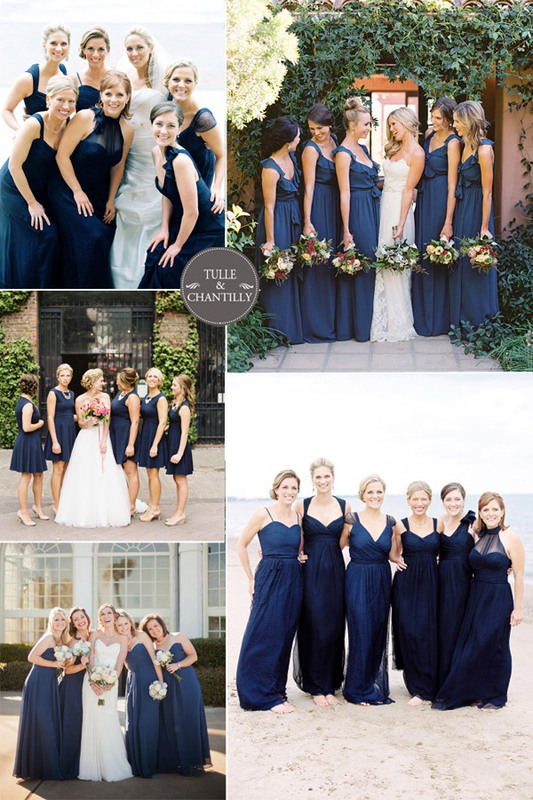 Very similar to royal blue, classic blue is a traditional and widely popular choice for bridesmaids; it’s one that will forever be selected. See for yourself the reasons why!